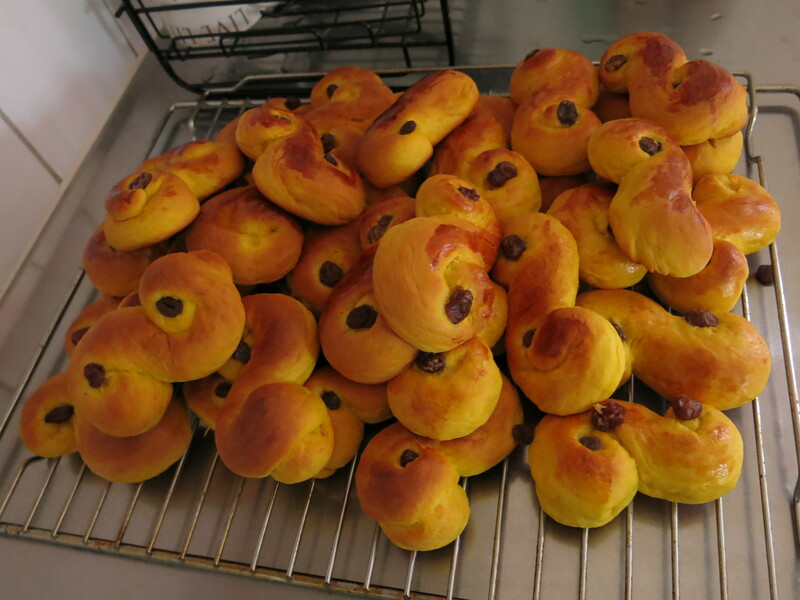 Also known as “lussekatt“. Associated with Advent, but especially Day of St Lucia (December 13). I baked a bunch today. Too lazy to write recipe, but they can be found on the web.